212 backers pledged £14,133 to help bring this project to life. 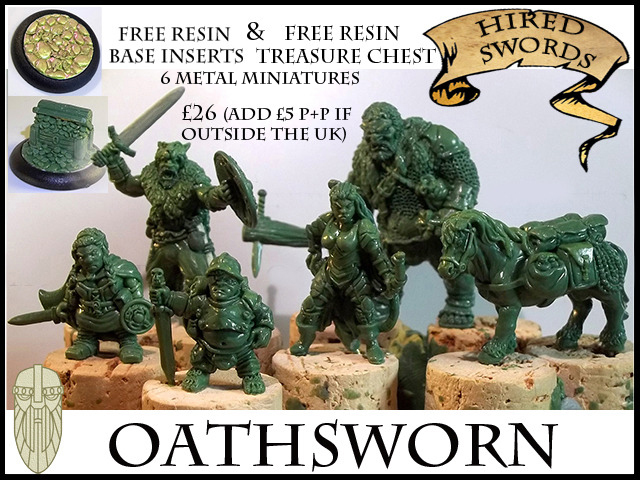 Welcome to the Oathsworn Miniatures: Heroes Kickstarter, and thank you for taking the time to look at our project page. The figures will be cast in metal, and supplied with a plastic base. All the Stretch Goals have been unlocked, and are now included in the pledge levels. Click the Pledge images below to see what's included. Below them you'll find pictures of the individual models and clicking on the pictures will take you to a video showing a 360 degree view. Approx 160mm long, and 115mm across the wings. Now Unlocked - free Juvenile Owlbear, camp fire, and summoning circle for all COMPLETIONIST pledges! We hope you've seen something you like, and that you'll help us by backing our project, and by telling as many miniature fans about it as you can. The biggest risk with metal miniature production is that the figure won't mould and cast correctly - this risk can be reduced by using the correct sculpting materials, by careful planning, and by having a good mouldmaker. We'll be using DP Castings - they produced the figures for our first Kickstarter project, so we know they do good work! Another risk is success - if we get more backers than we expect, then we could end up taking a longer time to deliver - there are only 2 of us to handle all the sorting, packing, and posting. But we have set the 'expected delivery date' as February 2014 to allow for this. We actually expect to be beginning delivery within 6 to 8 weeks of the project ending, but we can't guarantee that. Other than that, we don't expect any major problems. This is our second project, so we've already faced most of the possible issues, and figured out how to deal with them. DWARF KING - This pledge gets you a metal Dwarf King, Shieldbearer, 2 Bodyguards, plastic bases, and any DWARF Stretch goals that are unlocked. 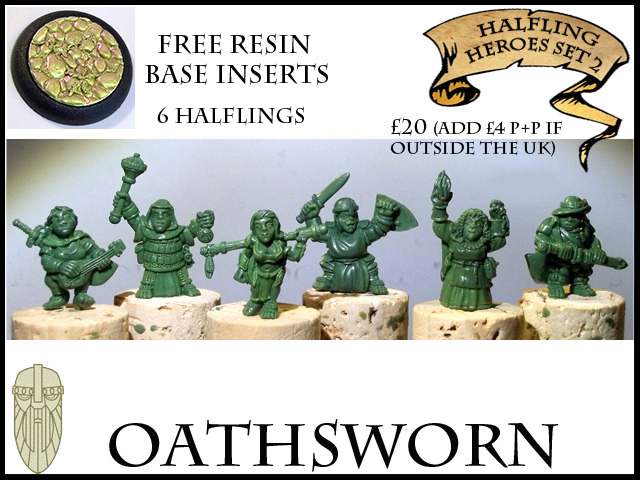 HALFLINGS SET ONE - This pledge gets you the 5 Halflings from Set 1, plastic bases, plus any HALF1 Stretch goals that are unlocked. 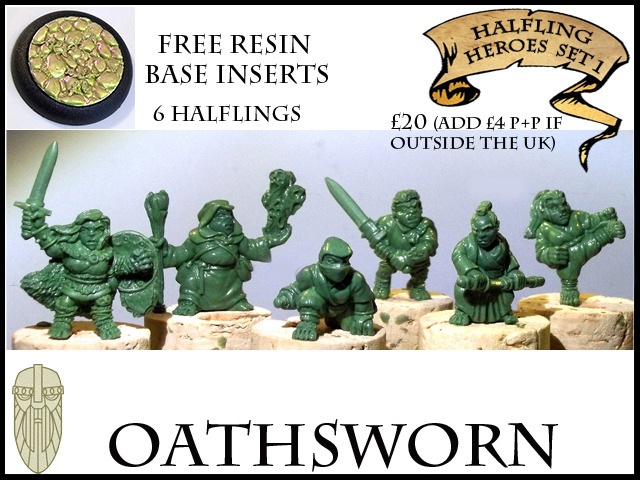 HALFLINGS SET TWO - This pledge gets you the 5 Halflings from Set 2, plastic bases, plus any HALF2 Stretch goals that are unlocked. HIRED SWORDS - This pledge gets you 5 metal miniatures - a Dwarf, a Halfling, a Human, a Tiefling, and an Ogre, plastic bases, and any HIRED Stretch goals that are unlocked. 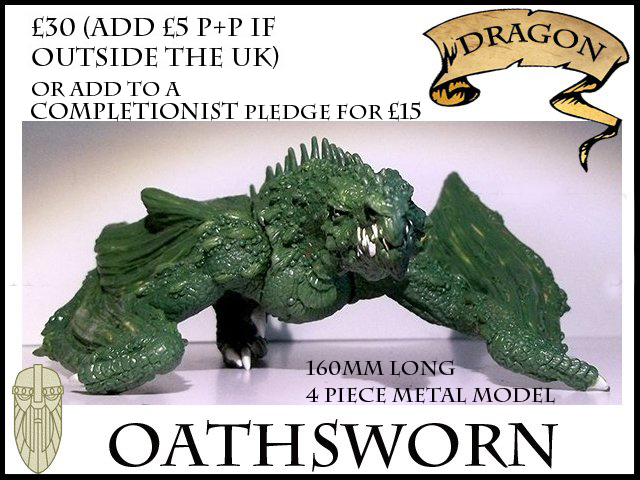 DRAGON - This pledge gets you a metal Dragon model. This is a four part metal model, and will require assembly and some basic modelling skills. 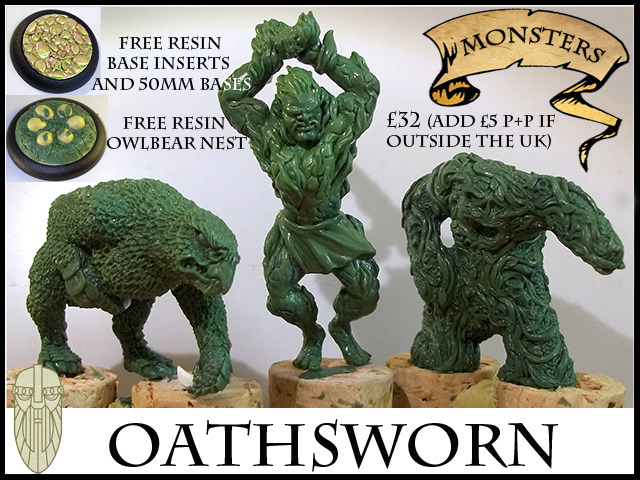 MONSTERS - This pledge gets you 3 metal minatures: a Fire Giant, an Owlbear, and a Shambling Mound, plastic bases, and any MONSTER Stretch goals that are unlocked. CHERRY PICKER - This pledge is designed to give more freedom of choice. 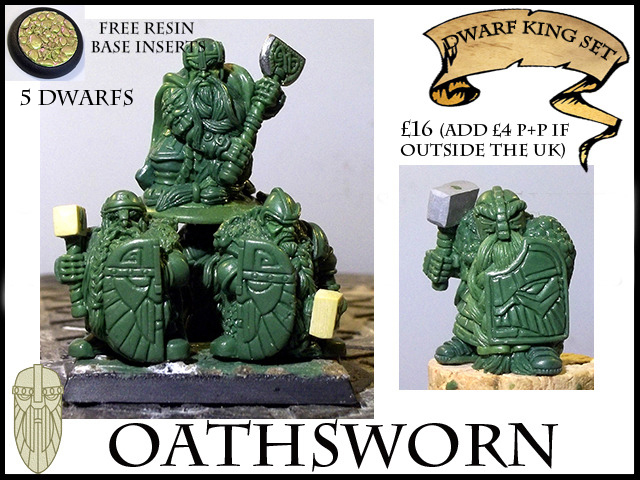 You get everything in the DWARF KING set. You pick any 5 models from the HALFLING sets. You pick any 1 model from the MONSTER set. COMPLETIONIST - This pledge gets you everything from the DWARF, HALFLINGS SET ONE, HALFLINGS SET TWO, MONSTERS and HIRED SWORDS pledges, including any unlocked Stretch goals.